Like Mickey’s Rules for Leaders? Buy the Ebook! 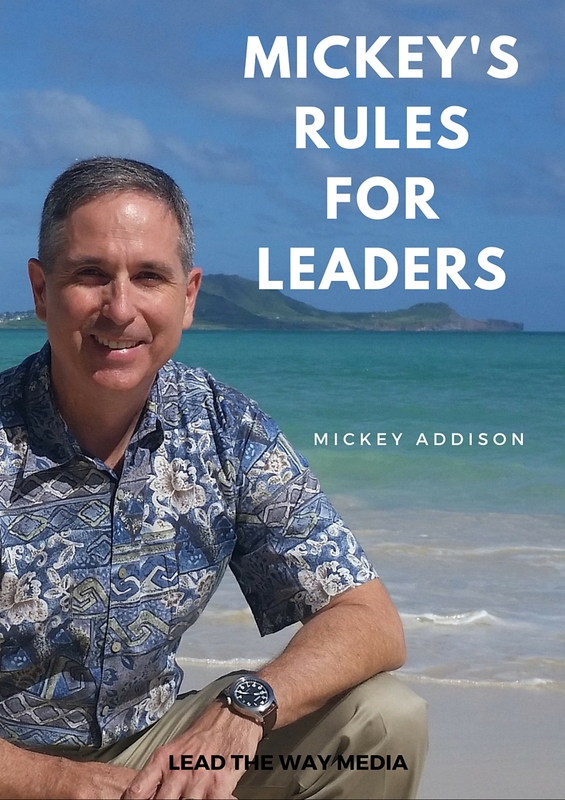 I received so much positive feedback from my “Mickey’s Rules” series, I’ve assembled the entire list into an ebook! Developed over career spanning three decades, in this book I give leaders a “how to” rule book for leading at any level. The eleven rules in the book are excellent guidelines for relating to other people, correctly prioritizing work, and leading teams to high performance. Learn the secrets of leadership from a leader who’s lived it! With Rules like “Don’t Spook the Herd” and “The First Report is Usually Wrong”, this is not your average handbook! It’s short and accessible for leaders at any level–with some practical examples and a little humor thrown in for good measure.